In a tweet posted by the WWE Performance Center, WWE has shared a possible augmented reality experience they’re testing. This would show the current Titantron videos as well as the occasional CGI props as objects in whatever room you happen to be watching wrestling in. The sample features the colorful graphics of the New Day alongside a virtual stack of pancakes. WWE currently has a VR program with NextVR. Virtual Reality users can log in and watch highlights from past main event matches with a ringside viewpoint. 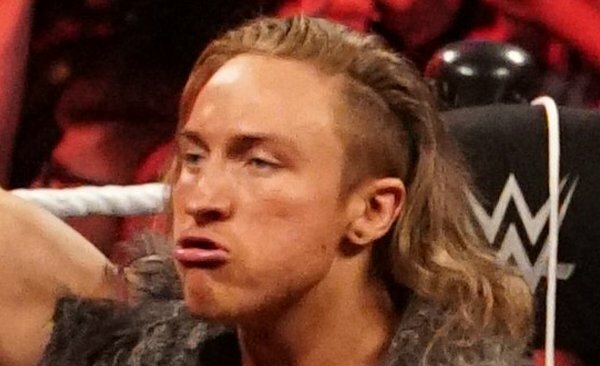 At this weekend’s NXT UK tapings, former WWE United Kingdom Champion Pete Dunne will be trying to reclaim his gold against Walter. The championship changed hands WrestleMania Weekend during NXT TakeOver: New York. Dunne comments in the embedded video that he wants his title back after holding it for nearly 700 days. Before his defeat, he was the longest reigning champion in all of WWE.